The movement against Batista’s regime began six years previously with a failed attack on Moncada Barracks on July 26, 1953. The attack, led by a young Fidel Castro, was meant to be a rallying cry for democracy and against Batista, who had recently cancelled Cuba’s free elections. 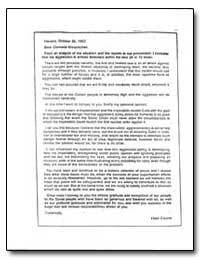 Castro was arrested, and two years later granted amnesty by Batista, who had grown certain of his powers. That complacency proved fatal to his reign. 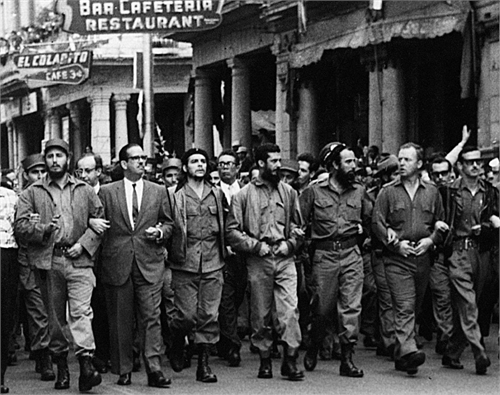 After a brief recoup in Mexico, whereupon Castro met other exiled revolutionaries such as Che Guevara, Raúl Castro, Camilo Cienfuegos, and Juan Almeida Bosque, the 26th of July Movement (M-26-7) was born. The M-26-7 sailed back to Cuba with revolution hot in their hearts, intent on land reforms, nationalization of public services, education reform, honest elections, and industrialization. When they landed, they were attacked by the Cuban air force and land ambushes. Batista falsely declared Castro dead here, but he and 12 men persevered to the heart of Cuba. M-26-7 weren’t the only group who sought revolution, and Castro’s plan required strategic considerations with friend and foe alike. 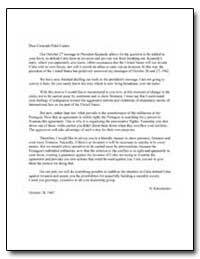 In 1957, five groups--Ortodoxos, Ortodoxia Libre, Movimiento Nacionalista Revolucionario, Defensa de la Constitución, and Movimiento de Liberación--came together to forge a manifesto known as Manifesto of the Five, which called for democracy to replace tyranny and for the end of violence. 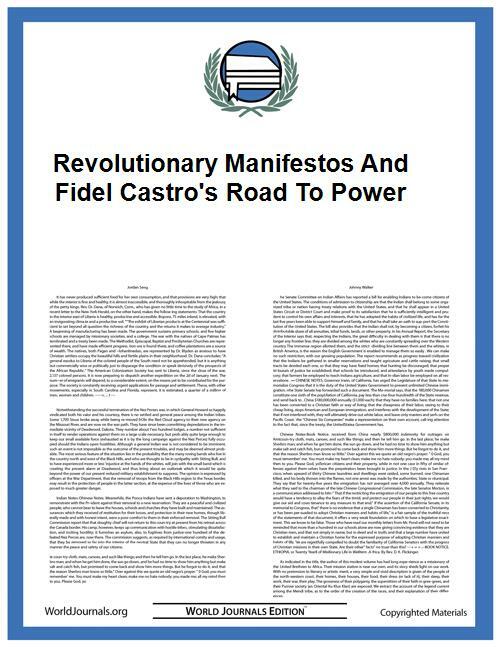 Castro responded with his own Manifesto Sierra Maestra (MSM), in which he wrote “Unity is now the only patriotic way. Unity is what all political, revolutionary, and social sectors that combated the dictatorship had in common” (“Revolutionary Manifestos and Fidel Castro’s Road to Power” p. 29) MSM shared many similarities with the Manifesto of the Five, with the most important distinction being it required unity under Castro’s rule. Access to public services such as health and education for Cubans were substantially improved by the Cuban revolution and for this, his leadership must be applauded. However, despite these achievements in areas of social policy, Fidel Castro’s forty nine year reign was characterised by a ruthless suppression of freedom of expression...The state of freedom of expression in Cuba, where activists continue to face arrest and harassment for speaking out against the government, is Fidel Castro’s darkest legacy. 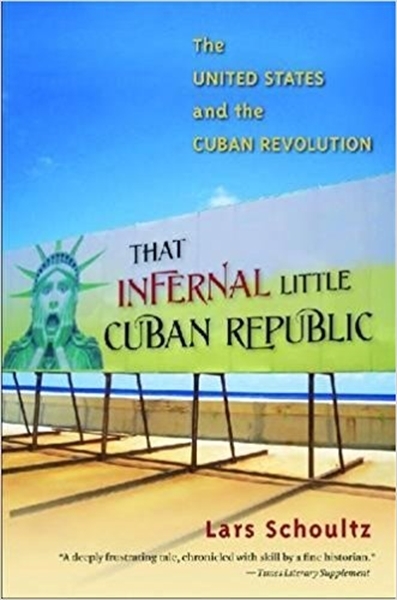 For more on Fidel Castro’s legacy and writing, check out his essay "Why Do the Yankees Hate the Cuban Revolution?,” letters between Fidel Castro and former Soviet premier Nikita Khrushchev, and Revolucion de Cubana by Maria Urien Carlos.